Fairly Stable Surrender Rates over the past six years. Surrenders at the shock duration (the year following the end of the CDSC period) have remained fairly stable since the beginning of 2009. This stability followed a steep decline from nearly 30% at the onset of the economic recession. As the VA industry retrenched their product offerings in the wake of market volatility and low interest rates, contract owners no longer had ever-richer guarantee options within VA’s or attractive vehicles outside of VA’s to move to. Effect of the moneyness and presence of a living benefit is notable. Contracts which are “in-the-money” (on an actuarial or nominal basis) with a GMIB or lifetime GMWB (GLWB) have much better persistency than those “out-of-the-money” or with other types of guarantees. GMIB’s have surpassed GLWB’s in this regard only in the past several years, with rates now a point and a half lower at the shock and nearly a point lower post-shock. What is less important? Factors that are less significant for assumptions include attained age, gender, and contract size. Even when surrender rate differences by these measures appear, they are explained away once the more significant factors of surrender charge and living benefit presence and value are accounted for. Annual withdrawal frequency rates have been increasing over the past several years. Some of this change is due to demographics: frequencies go up with age. However, even rates within age buckets have increased. GLWB riders are riskiest to the writing companies when contract owners take the full maximum annual withdrawal amount. Utilization of the withdrawal feature continues to be less efficient in this way than initially expected, although efficiency is slowly increasing. Overall, a bit less than half of annual withdrawals are at this maximum amount, while a third takes less than that. The remaining 20% of withdrawals are in excess of the max, which degrades the guarantee for future years. Principal drivers of GMIB annuitization are the relative value of the rider (“in the money-ness”) and attained age. Rider forms that allow partial dollar-for-dollar withdrawals have much lower exercise rates than those that reduce the benefit in a pro-rata fashion. The latter form emphasizes the availability of guaranteed income while retaining control of the account value, and so is more akin to a lifetime GMWB rider than a traditional GMIB. 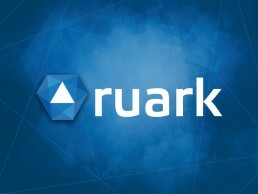 Ruark’s studies include mortality, surrender, partial withdrawal, and GMIB annuitization – policyholder behaviors that are vitally important to the long-term financial performance of variable annuity products, particularly with the burgeoning popularity of lifetime income guarantees such as GLWBs. Through the experience study results report and discussions with us, participating companies gain a detailed understanding of complex industry results and comparison to their own-company results for benchmarking purposes. The number of participating companies and volume of data studied has grown dramatically. For example, Ruark’s GMIB Annuitization study captured 60% more exposure than 2014’s study. Each company provided seriatim data files for the period January 2008 through June 2015. We thoroughly scrubbed the data files and validated them with each company. The 19 participating companies, representing approximately 70% of the industry, contributed 54 million policy years of data for the surrender study, and over 20 million policy years of data for the partial withdrawal study.